We’ve known that the Kundalini energy exists for thousands of years. Meditation practitioners in ancient times documented its existence, but the vast majority struggled to explain this subtle energy and to awaken it and reliably raise it so that it actually be used in practical ways to improve their lives. The flow of energy through the energy channels and energy centers, as well as the correlation of these channels and centers to human physiology wasn’t well-understood, nor was the correlation of energy flow to various meditative states of consciousness (e.g., the state of thoughtless awareness) and human attention. There were no practical techniques for actually harnessing this energy. Few forms of Kundalini yoga were successful for — and accessible to — all of us. That all changed in 1970, when Shri Mataji Nirmala Devi, a renowned spiritual guru who hailed from India, developed a technique to do just that, to make this connection accessible to all human beings: Sahaja Yoga (also known and taught in the U.S. as Sahaja meditation). Her technique was designed to raise anyone’s inner Kundalini energy easily and spontaneously through a sequence of simple steps with no prerequisites, “spiritual tests,” or previous experience required. Sahaja offered btw Western and Eastern practitioners the best of both worlds… the ancient spiritual secrets of the Eastern mystics distilled to a simple technique that harnesses the power of the ancient Kundalini energy, combined with Western views of self-improvement, self-actualization, self-realization, enlightenment and spirituality. In other words, Sahaja meditation offers the best of both worlds. Sahaja techniques can integrate the spiritual aspects of meditative practice with practical self-improvement goals, while always giving practitioners the freedom to choose their own journey. Some practice Sahaja to receive its spiritual benefits; some practice Sahaja purely for the self-improvement, personal development, or health and well-being benefits it offers. Others practice Sahaja for all of the above. Everyone creates their own unique journey. Over three decades of research and experimentation followed. Historically, this research was conducted by individual Sahaja practitioners, some of whom were medical professionals who happened to practice Sahaja. More recently, both the Eastern and Western scientific communities at large have begun to study the benefits of Sahaja meditation. Sahaja meditation is unique in its actualization of the subtle energy system. Sahaja provides the practitioner with verifiable experience of all the key elements of the energy system — the Kundalini energy itself, the energy channels and energy centers. 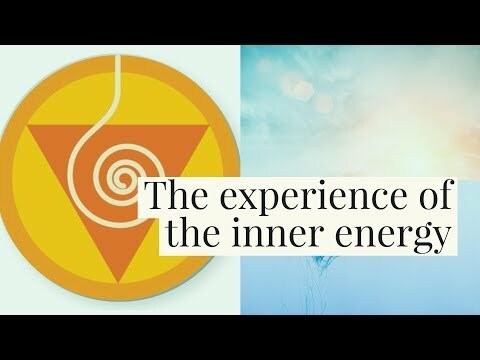 The Sahaja technique specializes in making the Kundalini energy rise through the central energy channel, while many other forms of meditation make the energy rise through the left or right channels, which can lead to imbalances or sub-optimal results. The Sahaja technique is also unique in its ability to replicate this phenomenon en masse (potentially even thousands of people) simultaneously. Most importantly, in Sahaja meditation, the experience of perceiving the different aspects of the subtle energy system can be felt in the very early phases of the practice — within a few hours, days or weeks, sometimes in the very first class or meditation experience. You don’t need attend a meditation retreat in the Himalayas. You don’t need to first achieve a “mandatory” level of proficiency, or devote many hours to rigorous practice in order to feel the energy. While most people find it more efficient to take an initial class or two and have some guidance from an experienced meditator, the Sahaja experience is accessible to everyone. It’s a simple routine that can be practiced at home.